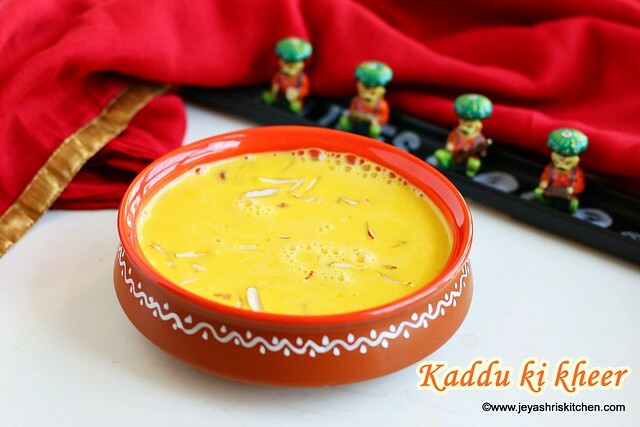 Kaddu ki kheer | Pumpkin payasam | Gummadikaya payasam, kheer made with pumpkin, almonds and saffron compliments the richness. 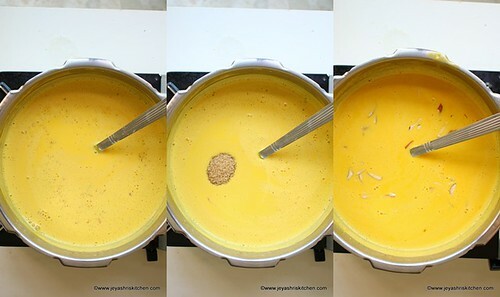 I always make pumpkin soup and it is a very common dish in our home. Mostly pumpkin i buy will be used for soup or i put them in Sambar. 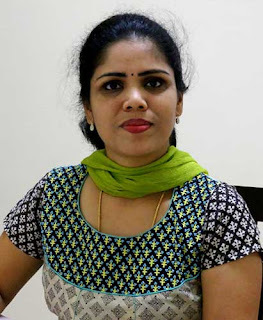 As Navaratri season is coming up i wanted to share some festival recipes and tried this Kaddu ki kheer and posting with step by step pictures and video. The payasam tasted so creamy and yum and it tasted just like the carrot kheer. 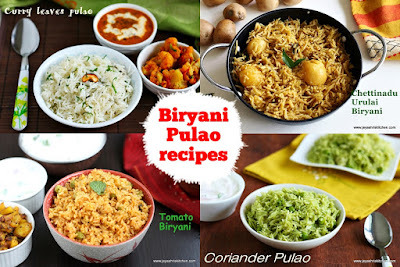 Later i felt, i should have made the pumpkin payasam with jaggery as how i did for carrot payasam. 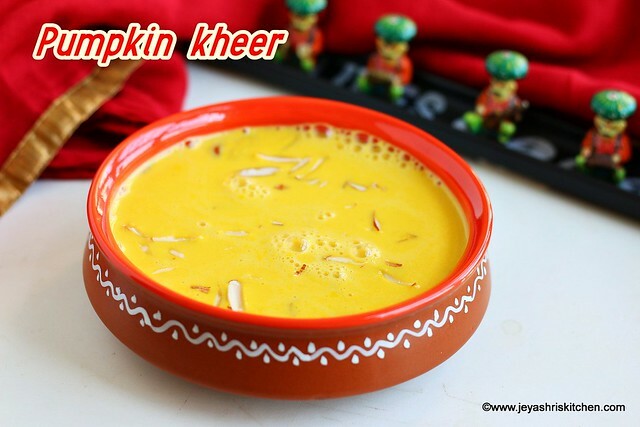 As pumpkins are available in the market so easily now a days, try this kheer for the festival season and celebrate the joy of festivity. 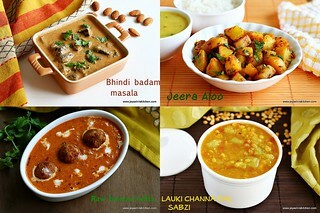 Check out the complete collection of Navaratri recipes. 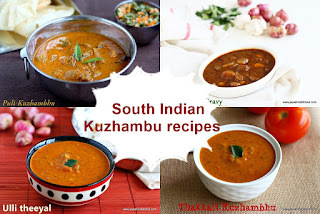 Description: Kaddu ki kheer | Pumpkin payasam | Gummadikaya payasam, kheer made with pumpkin,almonds and saffron compliments the richness. 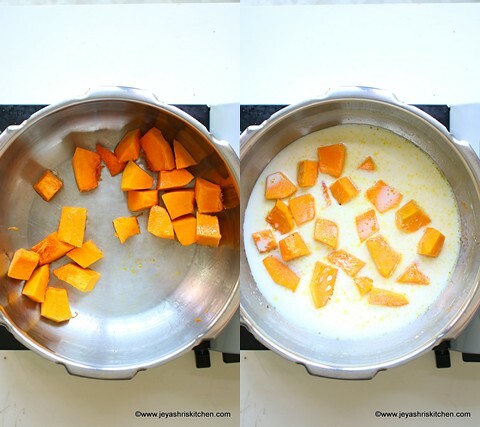 Take out the skin of the pumpkin and cut them into cubes. 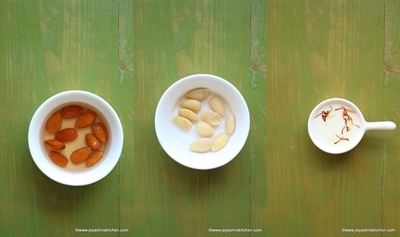 Boil the almonds in water for 5 minutes and keep it aside for 10 minutes. Take out the skin and keep aside. 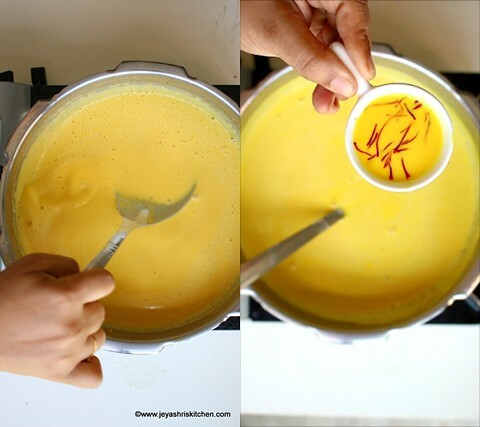 Soak the saffron in 2 tblsp of warm milk for 10 minutes. 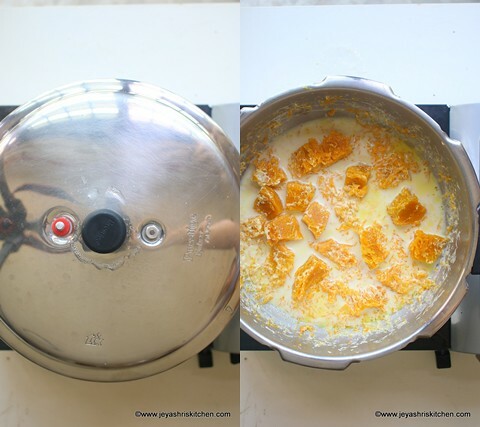 In a pressure cooker add ghee and the pumpkin cubes. Add 1 and 1/4 cup of milk to this. Once the pressure is released, cool it completely. Grind this along with almonds into a fine paste. 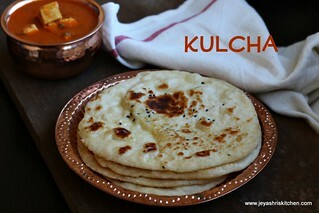 Add this back to the cooker or a heavy bottomed pan. Add 2 and 1/4 cup of milk to this. Mix well and let this boil for 5-7 minutes in a medium flame. 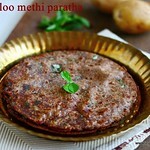 Add the saffron milk to this after 5 minutes. Add the cardamom powder and mix it well. 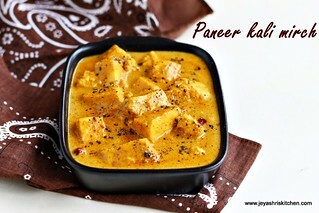 The kheer will be creamy as the pumpkin gives that texture. Add sugar to this and mix well. 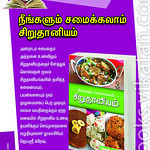 It is always better to add sugar after switching off, so that we can avoid curdling of the milk. Garnish with nuts, this is optional. Serve chilled. Even hot kaddu kheer tastes yum. 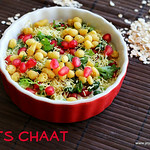 Almonds can be replaced by cashew nuts too. I cooked the pumpkin directly in the pressure cooker, but you can saute in a pan and pressure cook it by keeping it inside a vessel. 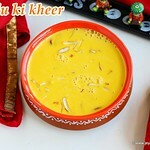 Sugar can be replaced with condensed milk to give more richness to the kaddu ki kheer.